Chula loves her home in Saint-Remy. She has a big backyard where she can run and run, bark at the cats, and do some digging. Her village is a short trot away, and there is no shortage of cafes and bars that welcome her. She especially loves her life under the bistro tables in beautiful Place Favier. This square dates back centuries and is surrounded by old stone homes, one now the Musée des Alpilles. A visit to this museum provides a pleasurable walk through days gone by, including the agricultural history of Saint-Rémy, a town known for its seed production since the Middle Ages. Trotting further afield, Chula and I headed toward the old Roman town of Arles so that we could walk in the footsteps of Vincent Van Gogh. 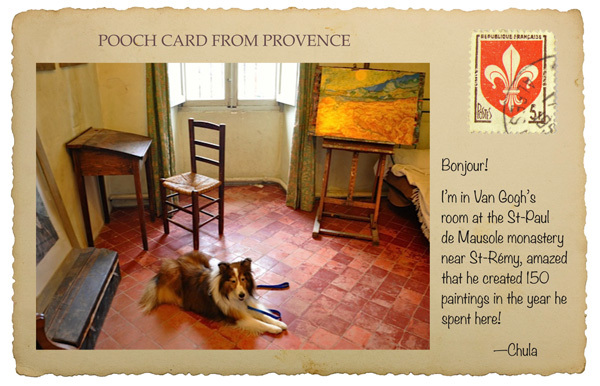 Van Gogh made the sites around Arles famous through his paintings, and the Van Gogh path leads you to many of them. At each site you can admire the subject matter and see a replica of the painting. We went everywhere—to the Café de Nuit (a night club Van Gogh frequented at the Place du Forum) and down to the banks of the Rhone River where he stood in 1888 to paint the Trinquetaille bridge and the starry view back at Arles. We ended up back in the main square in front of City Hall. 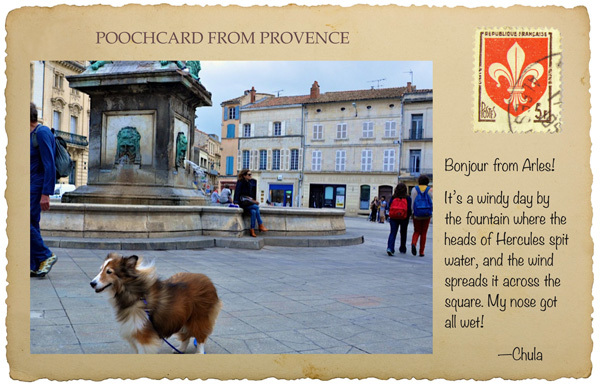 Chula paused for just a moment to take in modern life around the big fountain in Arles. On this windy day, she marveled at these big “water bowls” the French seem to set out in village squares, and she smiled in gratitude at their thoughtfulness. On the way back to Saint-Rémy, we stopped at Saint Paul de Mausole, where Van Gogh underwent therapy for a year after the unfortunate ear injury in Arles. The hospital there was associated with an earlier monastery and both still exist, including an art therapy program for patients today. Chula nosed all around Van Gogh’s room. If her hind legs had been taller she could have seen out his window to the fields, the iris, and the village of Saint-Rémy that he painted so prolifically during his year’s stay there. It had been a big day, and even a traveling dog like Chula didn’t object to getting back home. 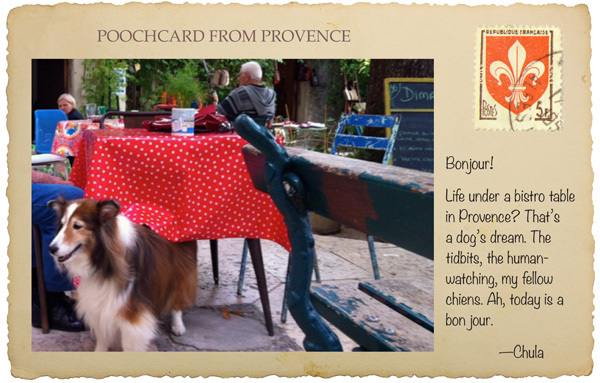 After all, she needed to rest up for many more adventures in beautiful Provence. Sherry founded and directed The Hampton-Brown Company, a leading publisher of language and literacy materials in the K-12 education space. After National Geographic acquired the company in 2006, she served as CEO of the combined group known as National Geographic School Publishing. When she retired in 2009, Sherry and her family, including Chula, began spending more time in France and now split their time between homes in Carmel Valley, California, and Saint-Remy-de-Provence. I really enjoyed reading your stories. Fabulous! I enjoy everything Chula writes and describes. I shall soon buy all her books. I suppose I can also get the books in French? Sounds ooh la la fun! 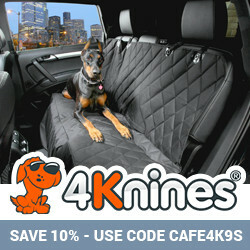 And some folks talk about a dog's life as if that wasn't a great thing!